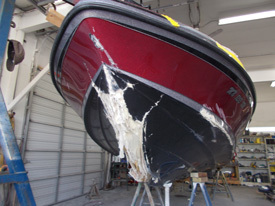 Anchor Marine is one of the best and most reputable boat repair companies in the US. Located in the Twin Cities of Minnesota, we pride ourselves on our reputation and have built up our clientele over years and years or repairing boats. Although ranger boats are awesome, it is only time before they will need a repair. 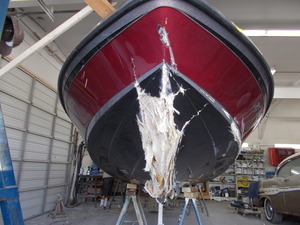 It is important to find a bait repair company that stays true to their word and has the knowledge and skill base to get your boat back on the water as quickly as possible. Taking care of your boat on a regular basis is a tall task. At Anchor Marine Repair, we cringe when we see boats not properly maintained. Purchasing a boat is a large investment, so you must commit yourself to applying regular maintenance on your boat if you are looking to keep it around for a long while. There may be times when the maintenance on your boat is too much for you to handle on your own. For instance, fiberglass gelcoat boat repair is something you should leave for the professionals to fix. 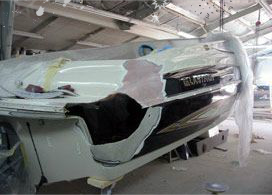 If you are near the St Paul or Minneapolis, MN area, our expert boat repair team can handle all of your fiberglass boat repair needs.